The U.S. Open at Shinnecock is fast approaching, and the running joke in the GOLF.com office is that in order to arrive on time for Open week, we should just start driving now. Indeed, traveling the highways from Manhattan out to East Long Island will likely take commuters three hours … and probably more. But fear not, NYC commuters. 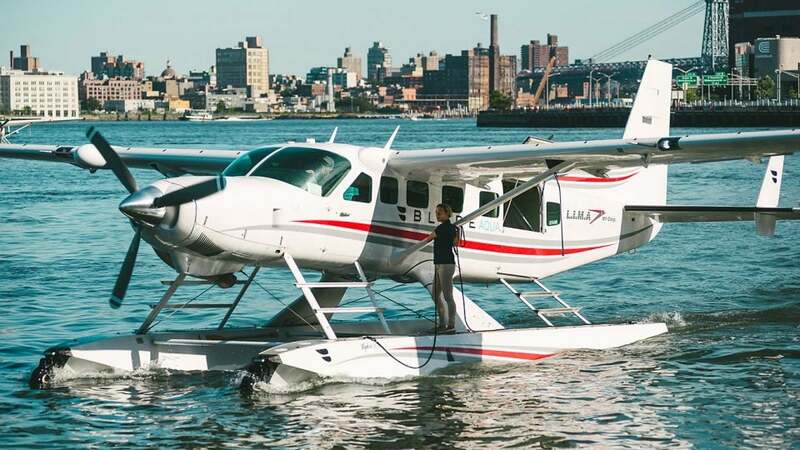 There's another option: amphibious airplane. Seriously. The company is called Blade and Manhattanites might recognize its fleet of helicopters that come and go each day from a pier in East Midtown. Blade is offering special trips for the U.S. Open, with one-ways rides out to Long Island daily Thursday-Saturday, and two trips for Sunday's final round. The price: $795 per seat. And rather than landing on your standard runway, the seaplane will scoot along the water and pull up to Sebonic Point, the beach just down the road from Shinnecock. Bring your own blanket and sunscreen. The trip from Manhattan takes 35 minutes and before lifting off, passengers can enjoy snacks and an open bar in the Blade lounge. Compare that experience against a multi-hour grind through highways traffic, and the price starts to seem palatable. If you're thinking of pulling the trigger, you might want to book soon. Seats are filling up.